Your wedding day will be AMAZING! Let's meet up, share photos and conversation, get to know one another and discuss your unique wedding. This is a very personal experience and it is important to us, that your flower vision and personal style are realized. Sometimes the loss of someone close to us or close to someone dear to us, can leave us without words. Sending flowers is a heartfelt way to show support and sympathy. In their silent splendor, flowers bring joy and fragrance in real moments of need. 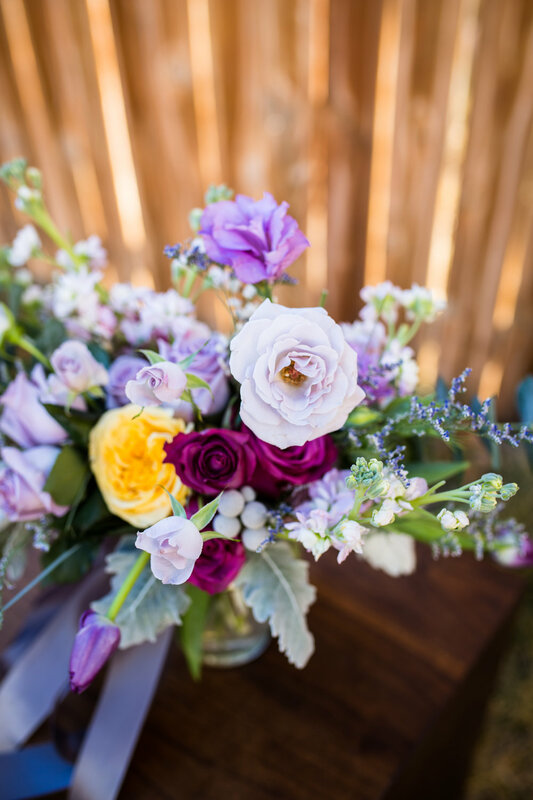 We create carefully crafted bouquets that don’t have a generic “funeral” feel, but rather a fresh picked look and feel allowing you to express your deepest condolences. We do offer casket sprays, standing sprays and beautiful vase and alter style arrangments that are easily transportable, so that loved ones can take them home. We are also available to take flowers to the residence of the grieving. We always make sure that there is a clear enclosure card message from the sender, so that the recipient knows exactly who was thoughtful enough to send them. As with all our arrangments, the source and sustainability of the flowers is as environmentally friendly as possible. everyone needs more flowers in their life. for birthdays, funerals, anniversary, get well, new baby, parties, wedding and all occasions that need flowers! Beauty at your door, your business or as a delightful gift. NEVER miss a special occasion because we will be there to remind you. Subscribe to Join the Flower Tribe and we will make fresh beautiful flowers part of your decor. Maybe you just want to add a pop of color to your dining table- YOU DESERVE IT! Possibly something to beautify your business? If your style is contemporary, boho, eclectic or clean and modern, we will enhance your style with our sustainable blooms. We just adore a party! We coordinate all events including Bat/Bar Mitvahs, Birthdays, Anniversaries and any reason to do it up. We create memorable parties with decadent details. We are deadline oriented, budget conscious and relish in the details so it is hassle free to you. We bring flexibility and creativity to your event. Let's WOW your guests! Please contact us for personal service on all your flower needs by calling us directly at the number below or by leaving a message on this contact page that includes your phone number. If you leave a messsage here we will be in touch by phone or email. We are very prompt with responses. Now booking weddings and events for 2019. and 2020. We can't wait to talk flowers!